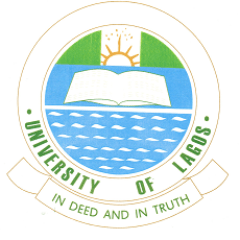 University of Lagos, UNILAG change of course form for the 2017/2018 academic session admission exercise is now on sale. Candidates that scored below the prescribed cut-off marks for their courses of choice are enjoined to make use of this opportunity. See: UNILAG Merit Admission List. in order to change course, must i change frist from jamb portal or is the change only done on unilag portal? where do we get the change of course exercise effected? Comment Text* Greetings bro….plz I applied for pol.sc. initially but didn’t beat De cut off, I did a change of course in Igbo linguistics,, their cut off mark is 51.68 but I scored 50.72….plz do I stand any chance of admission?? Comment Text*For those of us that scored 11,are we disqualified? i cant find the *print post utme result link, Please where can i find it? Hello….I mistakenly submitted change of course program to adult education. Can I change back to my initial(original) course Economics since I haven’t made payment yet? i scored 65.9 and i want to change to adult education. what are my chances of getting admitted ? Hello Seg, please how do I correct back to my initial(original) course after mistakenly submitting change of course? No date in your information, I mean the duration at which the C.O.C could last. Thanks, I did it though, I had had 61.63 went for education history-55.73.. Hope my chances are pretty broad. please is dr a hope for a candidate dat beat d cut of mark of d new course he or she just changed to be admitted.if yes,merit or supplimentary. There is hope. Can’t guaranty your admission though. buh I was told that even without d change of course form..I will b offered anoda course since I scored quite good..? @Derek Nwankwo, It’s possible, but the chance of getting admitted into other course is slim though. @ Derek Nwankwo, if you don’t have the cut-off mark of the course you applied for, then you need to apply for a change of course. @mayor, the deadline has been extended. please what are your chances of gaining admission if you scored 65.63 as aggregate score in accounting.. and can’t there be a change of course from accounting to economics? @ Derek Nwankwo, the courses list up there are the only ones that accept candidates. You can’t change to Economics. You can get UNILAG cut-off marks from here.